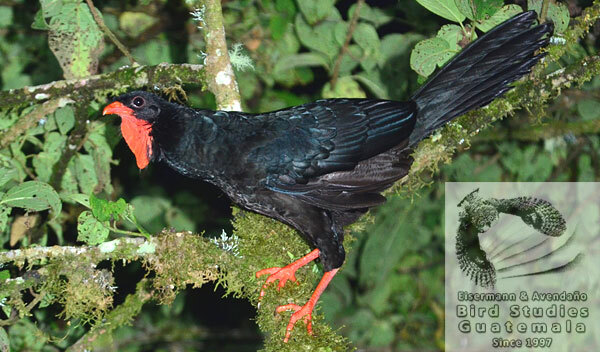 PROEVAL RAXMU Bird Monitoring Program studies the distribution, habitat use, nesting ecology, vocalizations, and consevation of the Highland Guan. 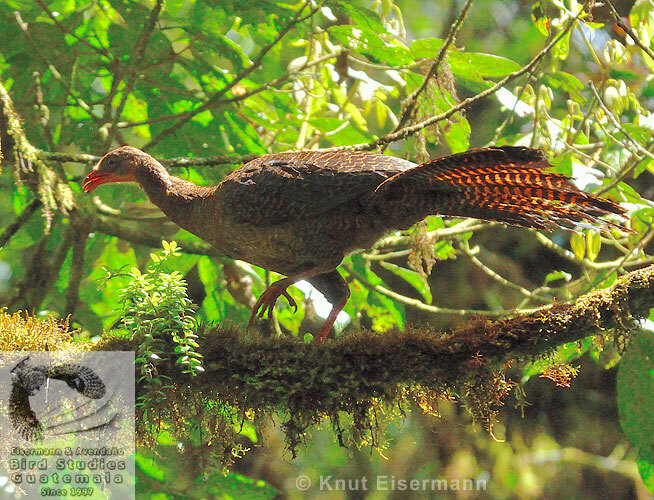 Most recent distribution data are compiled in: Eisermann, K. & C. Avendaño (2018) An update on the inventory, distribution and residency status of bird species in Guatemala. Bulletin British Ornithologists' Club 138: 148-229. Based on the vulnerability assessment Highland Guan was uplisted from Near Threatened to Vulnerable in the BirdLife / IUCN Red List of globally threatened birds in 2007. Highland Guan is restricted to the highlands of southern Mexico and northern Central America.